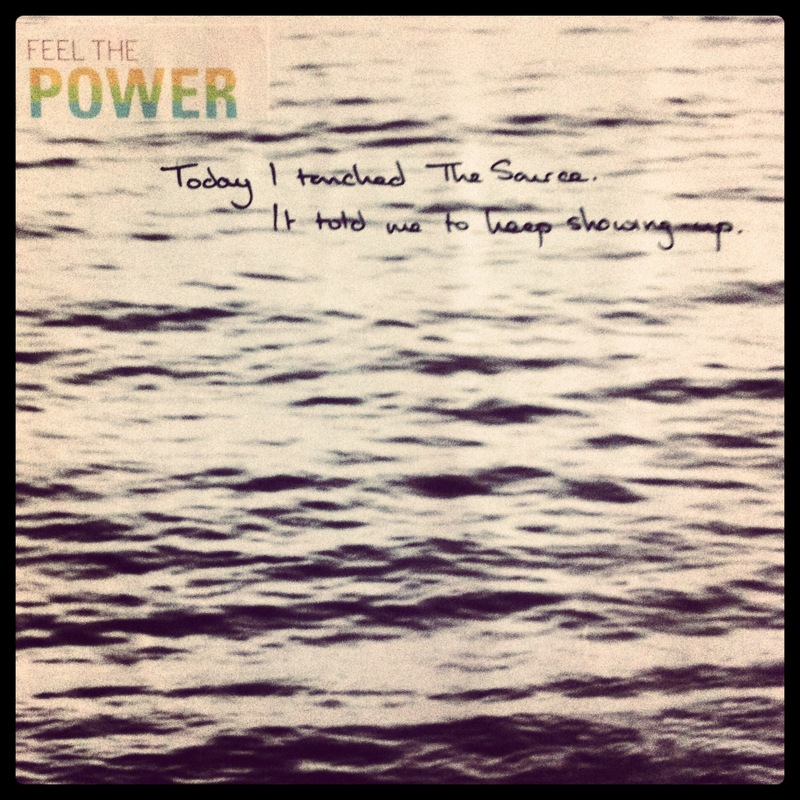 Today I touched The Source. It told me to keep showing-up. That’s my key lesson. I wasn’t expecting to hear that today. But I am showing-up. I’ve been focussing on that for the past ten days. Just showing-up. Let God do the rest. Be a vessel. Be a channel. But be present, be open, be love. Keep showing-up. I want to share it. Syndicate it. My message. I want to hug and dance and kiss someone. I want someone else to feel it too. My energy. It’s HUGE! This is HUGE. All we have to do is keep showing-up. Our responsibility is complete but minimal. Just keep showing-up. So that’s why I’m sharing it with you. Show-up. Open-up. Light-up. Yes. It’s that simple. Simple, but complex. Our human brains love to over-complicate, love to resist the pure. Show-up when, where, how, to who? It doesn’t matter. You know your answers. Just keep showing-up. For me it’s with my yoga practice, with my writing, with my meditation. I’m not a natural sit-stiller. I’m a mover. I’m a talker. Sitting quietly is oh so foreign yet oh so delicious when I remember how much I LOVE IT! I’m starting to want to do it spontaneously. Starting to let a conversation lapse, to put the book on the cool leather arm of the chair, to mute the music. To just let the silence happen. 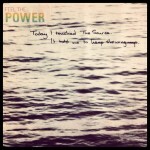 Showing-up is taking to my mat. Even when I can’t practice. When time is tight in the mornings or when my body is asking for more time in bed. To get onto my mat, even for five minutes, is to receive the Universal energy. Marianne Williamson calls it ‘downloading’, a wonderful way to express any way we choose to connect to The Source. Showing-up is writing in my journal. I’m actually on doctor’s orders to write in my journal. He wants me to express how I feel. Something I struggle with at the best of times, but when the only contact I have with my husband is the odd text and a virtual connection to a distant and distracted voice… well. So I show-up with my silver snowflake book and my Parker pen. I open-up. I ask myself how I feel, how I truly feel. And I let the words flow. I try to keep focussed on my feelings rather than the mundane events of my day. And sometimes, just sometimes, I surprise myself with the words that appear on the page. It’s not me. It’s a greater wisdom. It comes into my journal. And the more I show-up. The more it comes. This intuitive response to life in the mortal world. I don’t hear voices. My hand communicates without my interruption. Showing-up is keeping commitments, returning emails, making phone calls, texting the people who appear in my dreams to let them know they’re in my heart. But showing-up is also pausing, reflecting, truly experiencing the present moment exactly as it is. No judgement, no dissection. Just acceptance. Show-up. Accept. Show-up again. Accept again. Repeat. Repeat. Repeat. Vicki, you always inspire me 🙂 I love the idea of showing up whether it be in your journal, meditation, emailing, yoga…just being present in life. I’ve been making an effort with my journal as well since for a loong time i didnt want to hear myself! !